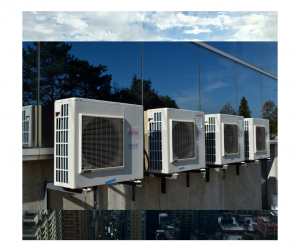 Important Things To Know About AC Repair Services – Before conducting any AC repair for your house or office, it is important to know about a few aspects of AC systems. When the AC breaks or malfunctions, most individuals try to fix it on their own without full comprehension of the concepts that are involved. 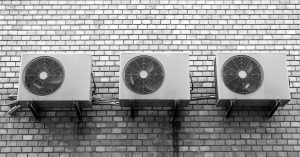 However, it’s possible for you to do a basic air conditioning service after understanding the principles. Regardless, heating, ventilation and air conditioning or HVAC are best left to the experts. 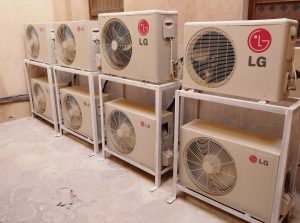 The conventional home or office AC works by simple physics and it consists of 2 discrete units known as the evaporator and the condenser. In the latter, freon gas (a refrigerator) is put under pressure and then passed through a heat exchanger which eliminates heat from the gas and converts it into liquid. It then goes through an expansion valve and makes its way into the evaporator. Here the refrigerant expands and is converted into gas. The heat needed for this comes from the environment (room), which is then cooled. The heated gas from the higher environment temperature makes its way into the condenser where the heat is eliminated and the cycle starts all over. The condenser and evaporator are both sealed and you can’t conduct any AC repairs on your own. You will need a trained HVAC contractor if one of the two malfunctions. However, you can keep all units clean including the mesh guards to avoid debris accumulation. Simply put, you can do basic AC service, but HVAC repair will be tricky. That being said, here are a few basic air conditioning troubleshooting, repair and service tips for the average homeowner. If your AC is not running, you should check the circuit breakers and fuses. If they are functioning properly, inspect the thermostat and ensure it isn’t set too high. Try to lower it by 5 degrees and if this also fails, then contact a professional air conditioning technician. Here, you should ideally check the thermostat and try to lower it by a few degrees. If this fails, check the air intake at the condenser. It might be blocked, particularly if there are a lot of leaves around. Also, check whether the fan fins are straight and rectify them if they are not. 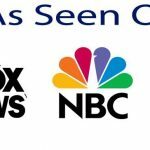 If all this doesn’t work, then it is time to contact a professional. For this, all you can do is to clean the condenser and if that fails, contact a professional technician. 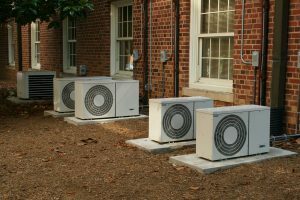 It is not uncommon for AC units to be blocked by vegetation, etc. This part of the unit usually sits on a concrete pad which can break and put the unit out of level which affects is optimum performance. So, ascertain that it is level. The reason why it is hard for the average person to conduct AC repair is primarily because the condenser and evaporator are both sealed units. As mentioned, the only thing you can do as far as repairs is to clean a blocked evaporator or condenser. However, if you have availed regular AC maintenance and servicing, then you should not experience these issues. It is possible to clean the evaporator on your own by first removing the insulation as well as evaporator access plate, but it’s much safer and effective in the long haul to have an expert that takes care of all this regularly. Despite people taking the DIY route, heating ventilation and air conditioning is a task that’s best left to the professionals if you want optimum performance. If you try to do-it-yourself, you will not only experience issues getting into the units, but you will have a hard time of conducting an effective repair. Also, you will be tasked by putting everything back together in a safe manner. 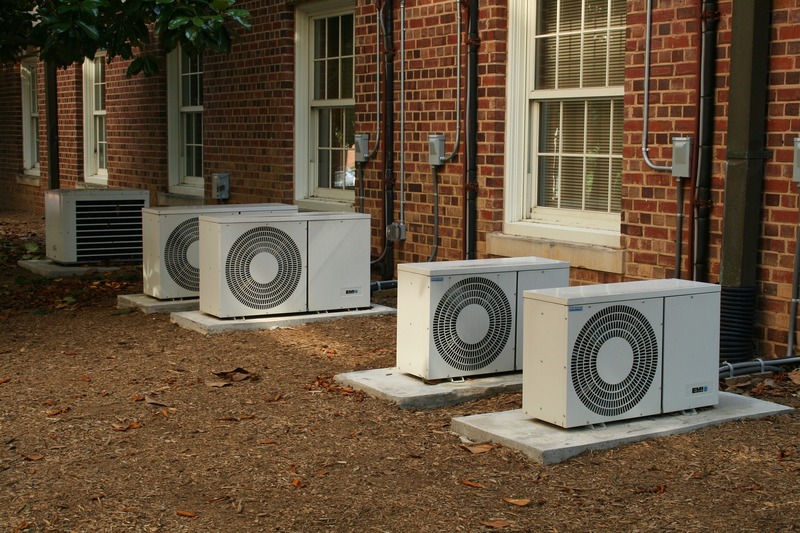 We cannot stress this enough, but it’s always best to use a professional AC Repair Services. Look for one that provides a free estimate and avoid those that charge for estimates. 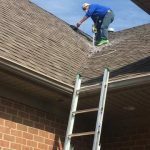 You will find that companies that offer free estimates tend to be relatively expensive but do a great job. Ideally, ensure that they provide a guarantee for both the time as well as the parts that they install. You should also get a warranty for the parts that they replace and if they have a discount, ensure you take advantage of it.